A savage killer is on the loose! Is it man, beast or both behind a string of savage maulings and murders? An escaped leopard provides the catalyst for a foray into fear in which a cemetery is the rendezvous for death and love, and a closed door heightens rather than hides the horror of a young girl's fate. 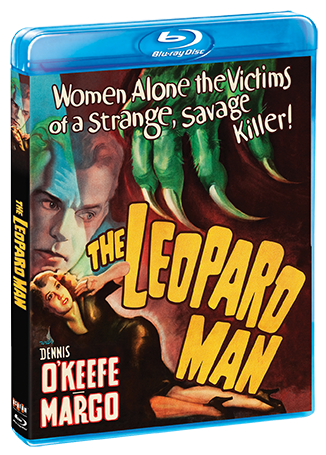 The Leopard Man once again teams producer Val Lewton with director Jacques Tourneur (Cat People). 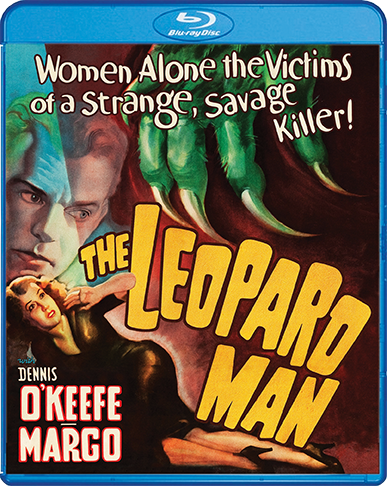 This thriller stars Dennis O'Keefe (T-Men, Raw Deal), Margo (Lost Horizon) and Jean Brooks (The Seventh Victim).